Looking to make your CalAgCU credit card payment? If you are a new credit cardholder and would like to make your first California Agribusiness Credit Union credit card payment, you are probably wondering what payment methods are available to you right now. Here is a brief guide how to make a payment for your credit card bill and what type of credit cards are available via CalAgCU. To make a payment online or manage your account, follow the link provided below on this page to the CalAgCu credit card login. You will also find useful “bill pay” information such as the credit card customer service number, payment mailing address, and billing phone number below. You can obtain 24-hour account information by phone at 888.899.7225 and pay in person at the California Agribusiness Credit Union office at 6281 Beach Blvd, Suite 87, Buena Park, CA 90621 or by setting up an online banking account. The latter option is the most convenient, because it allows cardholders to set up recurring payments that will leave their checking account automatically on the same day each month. 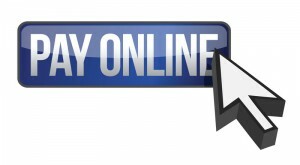 That way you’ll never miss a payment and will never pay your credit card bill late. Pay Online: An online account also enables cardholders to keep track of their spending and receive alerts from Visa, should any attempt of fraudulent use occur on their credit card account. The credit card bill statement cardholders receive, either per mail as a printed version or online, will also show an address where a check payment can be mailed to. Always write your credit card account number on the back of the check before mailing your payment. To make your CalAgCU credit card payment online click the “Pay Online” button below to login, register, view your statement or manage your account online. You can apply online for a Visa Classic credit card from CalAgCU, which is offered with a competitive interest rate as low as 9.9% APR Fixed. Not only does this card offer credit union member a worldwide network of around 25 million merchants, it also makes money go further, as cardholders can ear travel and gift rewards with the special bonus program. The card attracts a small $12 annual fee and comes with a maximum credit limit of up to $15,000. Apply via http://www.calagcu.org/loans/visa-credit-card or call CalAgCU on 800.391.8725. The online application form is available in English and Spanish. The CalAgCU Visa Platinum comes without an annual fee and an even lower APR Fixed of 8.9%. The maximum credit limit for this card is also $15,000. Although cash advances don’t earn cardholders reward points, all other purchases and transactions do. Points can be redeemed for gift and travel rewards, saving credit union members considerable amounts of money every year on merchandise and travel. Transferring loan balances from other credit card providers to CalAgCU is easy and saves also money, since the APR is not only fixed but very competitive at 8.9% for cardholders with an excellent credit history and continued creditworthiness.